The dress is all done! I have to say, the most challenging part was figuring out the gauntlets. The best way I figured was to follow the directions, go figure. Pinning the sides and then pulling it out through the lining hole gives you a great visual of where to sew. I did change one thing: 5″ of elastic per gauntlet instead of 3 1/2″. It is wayyyyy too tight with 3 1/2″. 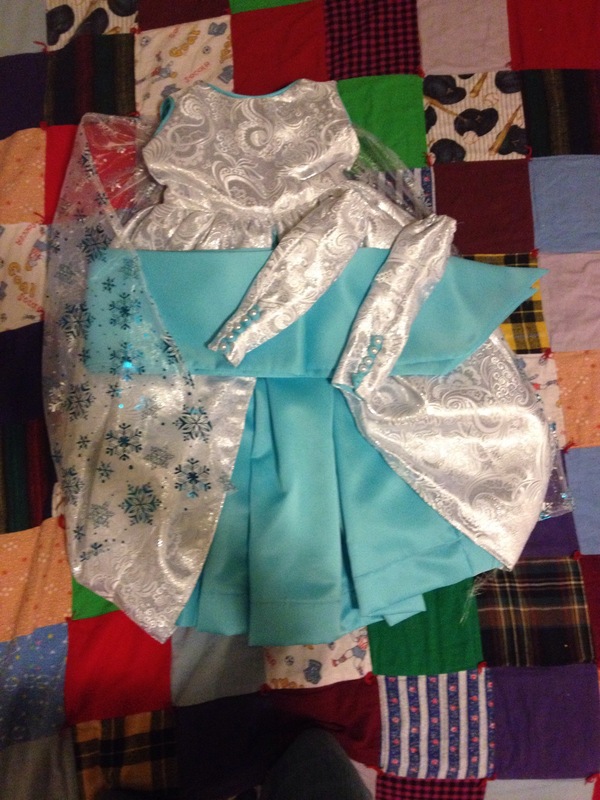 I made a detachable cape by taking a half yard of fabric and gathering the top. 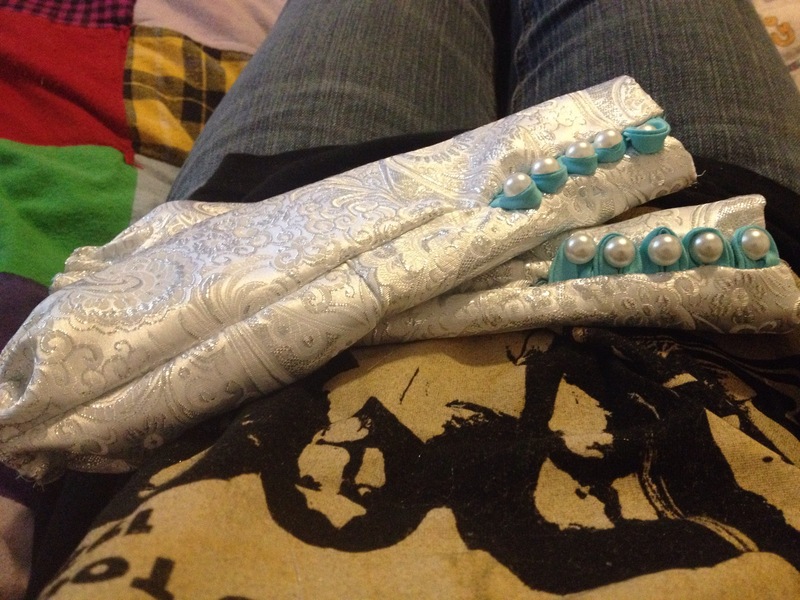 I added a casing on the top with coordinating fabric and sewed some snaps to it and the dress. This way the kiddo can take it off when she’s going to ride a ride. 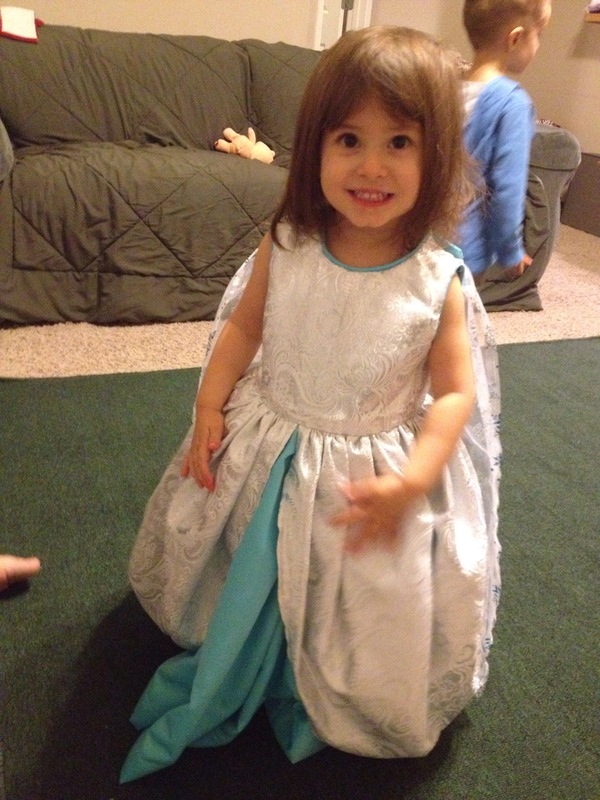 I had my niece try it on for me. Doesn’t she look so cute?